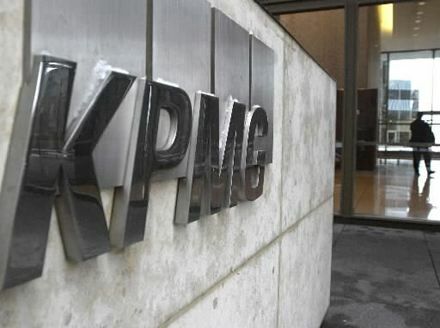 KPMG has hired Neil Miller as global head of Islamic finance. Miller joins from Norton Rose where he led their global Islamic finance practice and will continue to be based in Dubai, where he has been since 2009. According to KPMG, ‘Neil has specialised in Islamic finance since he moved to Bahrain in 1995. He then returned to London in 2000 to set up Norton Rose’s Islamic finance group which went on to win numerous industry awards under his leadership, with Neil becoming a highly regarded industry figure internationally. KPMG’s announcement comes shortly after Deloitte lost its head of Islamic finance, David Vicary, to Islamic finance education house INCEIF. Takaful, or Sharia-compliant insurance, is a relatively young market with a potentially huge customer base. With significant growth outside their current major markets of the Middle East and Malaysia, a large number of Takaful businesses are reporting under International Financial Reporting Standards (IFRS), which gives rise to complex accounting and reporting issues. The reason for this complexity goes back to fundamental differences between Takaful and conventional insurance models. 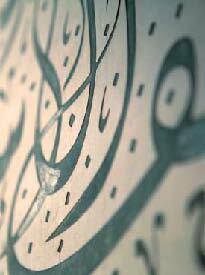 Islamic finance law abhors any kind of speculation and outlaws uncertainty (Gharar), gambling (Maisir) and usury (i.e. interest, or Riba). Takaful is structured to avoid these prohibited elements, introducing elements of mutual help (Tawaun) and donation (Tabaru). Policyholders’ premiums — which are treated as donations — make up a fund from which any insurance obligations are met. Takaful operators manage funds and settle obligations in return for an agency fee (Wakala fee), a profi t and loss share (Mudarabah share), or both. Any surplus in the fund belongs to the policyholders. If there is a shortfall in the fund, the operators make an interest-free loan (Qard-e-Hasan) to finance the defi cit. A Takaful insurance fund is co-owned by its customers, who jointly agree to take on the insurance risk, and share out any surplus or shortfall arising in the fund. This means that there is no transfer of risk: Takaful participants are effectively both the insurer and the insured. Since Takaful operators never actually own fund contributions, they are essentially in the position of an agent or fund manager. Despite these key conceptual differences, regulations in many jurisdictions treat Takaful operators exactly the same as conventional insurance companies. This gives rise to accounting and reporting treatments under IFRS which can be at best a poor fit, and at worst fundamentally unsuitable to refl ect Takaful principles. Definitions under IFRS relating to insurance contracts and insurers do not reflect the risk sharing nature of Takaful contracts: IFRS assume a transfer of risk. In order to present comparable financial information, IFRS largely ignores actual Takaful structures. Contributions from participants are treated as revenue, when it would be more accurate to record them as liabilities. Claims and other expenditure paid out of Takaful funds are recorded as expenses, when in fact they are a reduction of liability. 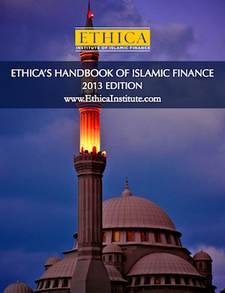 Some Sharia scholars argue that funds received by Takaful operators are fiduciary in nature and therefore should not even be shown on the operator’s balance sheet. The IFRS accounting treatment of agency fees earned by the Takaful operator and charged to the fund can result in a confusing mismatch within the fi nancial statement. This is because fees are deferred in the Takaful fund as an acquisition cost, but recognized upfront in the operator’s income statement as service revenue. Alongside these and many other complex discrepancies, many Sharia scholars also feel that IFRS does not offer the level of transparency and disclosure required under Islamic law. For example, Sharia principles require total segregation of the participants’ and Takaful operators’ assets and liabilities, and all schemes under the management of one operator must be segregated. This allows a fair share of surplus or deficit to be allocated to the participants of each scheme in a transparent way. However, in almost all jurisdictions, Takaful businesses have to publish their financial statements on a combined corporate entity level, which can make it difficult for stakeholders to assess and understand results. To get around this problem, many companies reporting under IFRS present a se parate revenue account for each Takaful fund under management along with a separate income statement for the Takaful operator. Some also use columnar balance sheets showing the assets and liabilities of the operator side by side with those of the fund, together with the aggregate balance. It’s clear that current application of IFRS for Takaful companies represents an uneasy compromise for the business, customers and Sharia scholars. Yet it is obviously important for Takaful companies to be regulated under international standards if they are to move forward as part of a global industry. To develop a consistent presentation and transparent disclosure that reflects the true essence of Takaful, a productive dialogue between Sharia scholars and the wider industry should continue. Frameworks already exist which should help provide insight and a basis for future development, including the accounting standards and guidelines for Takaful created by the Accounting and Auditing Organization for Islamic Financial Institutions (AAOIFI), the Malaysian Accounting Standards Board (MASB) and the Central Bank of Malaysia (BNM). With a harmonized dialogue at global level, Takaful can reach its full potential.